This week I'm chatting to Masterclass member Simon and I'm helping him take his latest successes to the next level. Simon has already created and launched his online coaching services and now he wants to grow it. We chat about the important next steps he needs to take so that he can soon make his online coaching business, Iron Paradise Fitness a full time career. In particular, we chat about creating a conversion tool which is a very specific piece of online content that actually turns people into paying clients. It amazes is me that these 'conversion tools' are not actually in place for many 'online coaches' as it can be a complete game changer - it was for me. So this episode will show you what a 'conversion tool' is, what types I recommend, how to set it up, what that will involve, and ultimately the impact that it can have on an online fitness business. Ru: Tell us a little bit about how the last few weeks have been going for you? Simon: The last couple of weeks I have been trying to generate the first few sales. It was about three weeks ago I got the first couple of sales, which was good. End of November I got two customers on meal plans. They've been through that process and so far and feedback was really positive. They've been very supportive of what I've done and without me prompting posted testimonial messages on social media. Now I'm trying to drive more people through the sales funnel and to download the ebook. I've also created the 1-2-1 consultation page with the video so trying to get traffic to that. I've been spending a lot of time on Facebook advertising trying to get that right. What I struggle with on Facebook Advertising is whether to target the same people that I targeted for the ebook download. For example, there are couple of groups where the conversion rates are quite successful. So I don't know whether to go back to those people who are already on my subscriber list and target them with the consultation or do it by the contact list and then target other people on Facebook. My recent Facebook campaigns haven't been that successful, I struggle to find the same level of the target audience. I've made a commitment to myself to create blog content once a week and I've dialed down some of the social media posts. It doesn't drive any business but I guess it helps with a presence and a bit of marketing. That's where I am in a nutshell. I think I lack some testimonials as I haven't got any before and after photos from all the people I trained in the past. There were about thirty odd people I put through the process so I'm struggling with that side of things. Ru: Ok, great, firstly I want to congratulate you personally on making those first online sales and getting actual online clients, that's a big thing. You would be amazed by how many people do not make it to that stage, I am talking the majority of personal trainers don't make it to that stage. Luckily though you've been part of the masterclass which has helped, right? How has the masterclass helped you get to that stage? 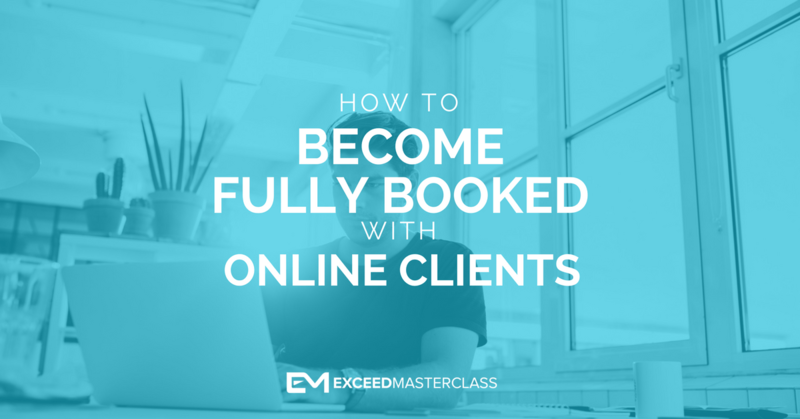 I'm keen to know because you have definitely been one of the most engaged members in the masterclass. Your thread is unbelievable in terms of the action that gets taken on there. I have people message me saying they just read Simon's thread and they are inspired by it. It's also helped me validate the information that's inside of the masterclass because it's nice to know when someone's taking a lot of action with it and it's great to see especially because you are in full-time employment in a different industry. After consuming all information you're now set up with an awesome website and getting clients. How has that been for you, I'm interested to know? Simon: When I was on the webinar I did think whether to do it or not but I gave it a go. Before my website was very basic and I was trying to do everything through social media. I'm always quite driven so if I've got a goal in my mind then I do everything to be as good as I can at that particular thing. What the Masterclass has given me was the tools, the methods and the 'how' to apply my drive and ambition in the right direction. Previously I had a lot of drive but in the wrong direction. The Masterclass has helped me map out, plan and move forward. And then there's also other elements like the key training on how to set up a website. Things like Thrive Themes was a game changer for me. Getting that professional looking website was great. The insides behind Facebook advertising was also great. Then I found other little things to be very powerful like for example the book recommendations. I'd read one of the books I'd get inspired by it and that would drive me to do something new. I was always struggling with how to work this around my full-time job and 'The 12-week year' and 'The One Thing' book has helped massively. Having that calendar set up in my diary now means that I can churn through a lot of work in the two-three hours I get on an everything. On the weekend I can do up to 10-20 hours. With those techniques supported by all the content it's just getting it done, it's been great. Ru: Yeah, you can be surrounded with all the best content in the world but if you're doing nothing with it, it's a waste of time which is why I constantly harp on about productivity. We've got the productivity course in there which is mapped out very similar to the 12 week year. I was inspired to share the information as well. For myself as well it was a game changer of information. All right, I know where you are now and I know what's going on and I'm glad to hear the Masterclass has been a big monumental shift for you in terms of the direction and getting onto the right path. What can I help you with? I have a few ideas in mind from what you've just told me but is there anything specific you want to ask me about? Simon: I've just seen in the background there you have the 'dot com secrets' book, which I've just started to read. Based on the information there, just looking at my e-mails now I feel they are a little bit weak. The question would be how can I structure those emails so that they are engaging and inspiring? In that book he also talks about daily emails, is that something you should do or is that overkill? Because I'm quite driven I feel that at the moment I'm not doing enough. There was a lot of activity while creating the website but now that's done I feel like I should be doing something. Ru: I agree, just looking back at the sort of e-mail marketing stuff, I've done the whole daily e-mail thing. There are a few people out there that are well-known for it, like Ben Settle and Andre Chaperon. I found that most of the people who tell you that daily e-mail is awesome, are the people trying to sell you how to do daily e-mail. I like to take a perspective on business in that I try to put myself in the shoes of the people who are maybe looking at my information. And I don't know too many people who I want to hear from every single day in my inbox. Unless it was maybe a paid-for type program that I was trying to implement. I don't really want to be consuming marketing content from someone every single day. So personally I'm not a big fan of the daily e-mailing. I've done it and I didn't see any change in business overly from doing that and that's one of the reasons why I'm not a fan. I personally stick to emailing once a week, providing some content as it's a great way of keeping engaged with my subscribers. More so than the social media component if I'm honest. I'm trying to focus on improving my open rates, growing that email list, creating content that's engaging and want to consume. I want to try and create something of high value, less is more with the e-mail marketing side of things. However, I will say the whole daily emails and the success of it comes into place when you put together some very specific campaigns throughout the year. And if you watched this month's training in the Masterclass I talk about mapping out campaigns every quarter of the calendar. 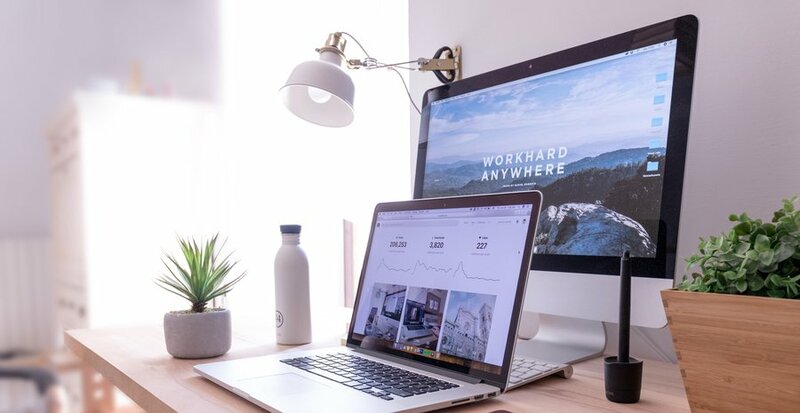 Those campaigns are when you're going to try and get people to take significant action which is when you're promoting your product or service and that is going to involve daily e-mails. At the same time you have to give your e-mail subscribers a bit of a break. But when you are promoting, yes daily e-mails for a week or two are a great way of just staying at top of people's mind and getting a lot of information to them to take action. With just one email you don't get a lot of traction. There's usually some build up in the week before the promotion with some content and then maybe a week of driving some traffic to an application form like you do on a sales page for example. So I think that's where you can find a nice balance with the daily e-mail side of things. As to the content, I really like the personal type emails that you'd read about in 'dot com secrets'. Very traditional e-mails as opposed to the whole newsletter type messages with all the images. Simon: Ok, cool. I'm just working on it now so hopefully, it will prove to be beneficial. The other thing I was thinking of was videos on Youtube. Not necessarily instructional videos but every now and again something interesting. Not trying to sell something but having content that people will want to consume and therefore you are always in their minds. Ru: OK. I agree there are two to three areas that you're going to want to focus on. I think you're going to want to keep getting out there with your free thing in exchange for the e-mail to grow your audience. But don't get too obsessed with your social media. Growing that audience is going to come from your free thing, so that is going to be a big component to your success. Secondly then the is content strategy. You've got over this initial creation phase now it's time to settle in because you're in for a long haul. Not saying that mean you'll see big growth spurts or anything but you're in it for the long haul you can settle into something. Creating some valuable, non-sales, free content is critical. That's why I say to stem away from that daily e-mail and instead create something valuable each week and provide that in a YouTube video, iTunes or a blog post. Pick a platform that you're going to be comfortable with and stick with it and do that consistently every single week. I think podcasting is pretty awesome these days but you also have to think about where your audience is. Are they sitting on iTunes, YouTube or do they prefer blogging? What I do like is that videos are more engaging, people can actually see and hear you. Podcasting is similar as people 'stick' you literally in their earbuds and consume your information and that's very powerful. And of course, there's also the subscription side of things with those channels. People subscribe to you and get notifications for your new content. So you know you're getting into people's eyes and ears pretty easy with that content strategy. I also think you don't need to give away staggering amounts of information, which we can sometimes feel we need to do, just some good valuable content. So I would encourage you to pick a platform and go all in. If you look at myself in terms of podcasting, I've got over 100 episodes on my high performance living podcast and nearly 50 episodes on the Masterclass podcast as well. I also have hundreds of blog posts on my website. So I have enormous amounts of content right there and even though I haven't been doing any High Performance Living podcasting last year, I'm still getting thousands of downloads every month. People are consuming the content and I haven't created anything new. That's why I think you want to find a medium that works really well for you. YouTube would be quite good for organic views and it can be a long-term sustainable content strategy that's going to drive your business forward over the next year or two. With all that said it's a slow burner and I don't believe that's the only pieces of content you want to create. For me, this year creating a conversion tool was a game changer. There's a lot of different methods of doing this. For example, the application form and phone calls are a conversion tool, where you say to someone 'here is what I've got, would you like to buy it'? If you've done a few of the steps earlier, qualifying people and bringing the right type of prospect in, then it's going to have high conversion rates and work really well. Another conversion tool are webinars, which is a bit like public speaking but you do it online. Another option is maybe creating a three or four part video series. Very similar to a webinar but instead of being an hour long it's broken down into a few 15 minute videos. You're allowing people to access this information, but at the same time it's structured in a manner that it talks about your clients biggest problem, while giving them some solutions and benefits of solving that problem. I think you want to be looking towards creating some very high-quality content that's very conversion focused. I'm not saying dive straight into a webinar but I think you want to extend your funnel a little bit. Now, there's nothing wrong with advertising straight to the application form, that is a conversion tool within itself. But I find that sometimes for people to put themselves on there and book on a call with you is quite a big ask. But instead they might register to watch your videos, then one of those videos would obviously be all about your product and service, and maybe that would be linked and attached to a sales page at the end. So have a think about what sort of conversion tool you would like to go with. Then your goal is to drive as much traffic to that as you can. The conversion tool will take a lot of thinking and stress out of trying to sell to people all the time. One last thing is Facebook Ad retargeting. Make sure that you've pixeled every touch point on your website. If you put the Facebook pixel onto your Website as a whole, Facebook will be tracking it. But I also think you want to 'pick out' some of the most important pages. Tell Facebook to track all your blog posts, sales page, application page, opt-in page, Thank-You pages and start building up audiences. This information is almost as good as an email subscriber because these people are touching very important pages on your site. So maybe they visit the opt-in page but didn't visit the Thank-You page. You could then set up another ad for them with something slightly different because maybe the original opt-in wasn't right for them at the time. You could set up an ad for anyone who clicked on the opt-in page but exclude those that hit the thank you page, so you can actually exclude anyone who's made it to the thank you page, which will make sure they are not seeing the same ad. For those who have been on the thank you page you can now trigger an application form ad because they've already consumed some of your content and are ready to take the next step with you. You might also want to track people who clicked on your posts. You could then retarget those people with the ad to get your free e-book to turn them into subscribers. You can take all of this to the next level with retargeting and that's a bit of a game changer as well. Simon: So are you doing something with the pixel to identify where these people have been? Ru: Yes, if you go into the Business Builder Course in the Masterclass and have a look at the growth module, under there is the Sales Funnel Course. The lesson is called retargeting and I take you through the options within social media to take that to the next level. That's where you should focus and I think you're going to have an awesome 2017. Simon: Cool, thank you very much.